Get your groove back on. Okay okay confession time… I’ve been slacking a lot lately. Preoccupied by school work and what not. I’m honestly not here to complain about being busy but let’s just all thank God I’m back. I was reading my devotional this morning and I felt exhausted. Spiritually tired so to say; to be honest I slept off in the midst of prayer and I woke up like an hour later on the floor. Just like any other relationship, you get to a point where it starts to feel like someone/both of you are drifting apart. Contrary to the groove you had going on in the honey moon stage of your relationship, it isn’t so lovey dovey anymore. The difference, however, is that in your relationship with God, he never moves an inch- he’s the same person you fell in love with from the very beginning; so the problem is always you. I began to have a rethink this morning and I realized how far away I had moved from God without even realizing it. You know how I used to talk about how noisy the world is? Yep. God had been speaking to me all along but my hearing had been impeded by the noisy world around. And by noisy I mean my day to day activities that keep me from taking time to talk to Christ as much as I used to. At some point in your walk, you’ll most likely get to this exact situation, which is why it is best to prepare for it. I’m not sure if I’ve had a blog post about the kind of people you surround yourself with as a growing believer (I will if I haven’t ) but these people matter a lot. These people will have your reset button on standby. No matter how busy you get, they’d be around to refresh your memory of how much you were in love and how happy you were about your decision. Asides that, you should have a resuscitation mechanism. One of mine is reading everything I’ve written, to and for God, all over again. They remind me of my love story with Christ and how much my desires burned for him. The most important thing is to realize the moment you start to drift and If you don’t, be accountable to someone who will. The loving God we serve is constant through every season we are in and you can be rest assured to pick up from where you left off everytime you fly away like a confused chicken. Just remember to stop and look back right in the middle of that great job you just got, or the new contract you just signed off or even the new boo that just came into your life. Never put other things in your handbag while you leave God in the closet. 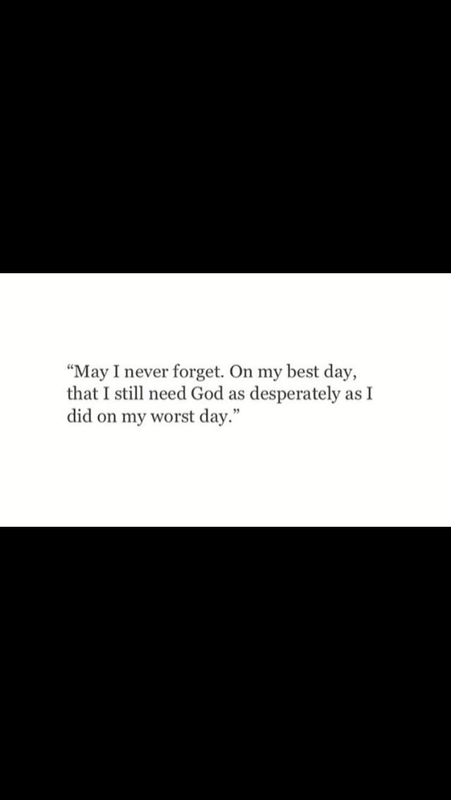 May I never forget, on my best day, that I still need God as desperately as I did on my worst day . So in sickness and in health, never let yourself travel far from home. In the next couple of weeks, I’ll be writing reviews on some books I’m currently reading and I’m excited to share everything with you! Grace and peace my darlings. 3 Responses to Get your groove back on.